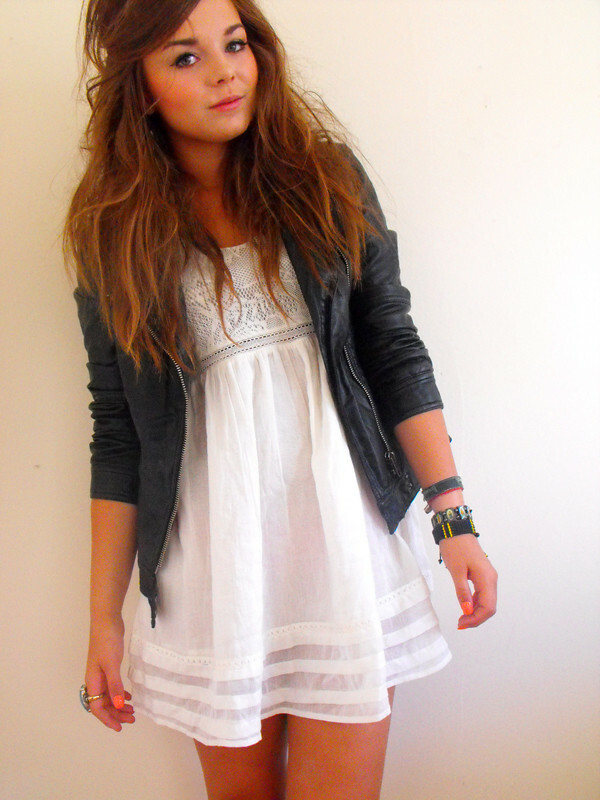 On Sunday I picked up this oh so perfect "leather" jacket from Primarni, and I cant stop wearing it. Its just the most perfect jacket I've seen in a very long time. Its so buttery and soft, and such a steal at only 19 English pounds. I've never actually owned a jacket like this despite lusting after them for ages. I see this creeping into a LOT of new outfit posts over the next few weeks! I don't like wearing full Primark outfits, But I think this is an exception as I think the white dress looks perfect teamed with the faux leather. I also wore some New Look sandals. This has to be one of my all time favourite outfits! I have that jacket too! Such good fake leather! And I really, really want that dress. Absolutely beautiful outfit and hair! I really want all of it! i will have to get myself down to primark asap! eek. definitely making me crave a primarni shop! love love love this look lily. cant believe its all Primark. when i'm home for the summer i don't have as easy access to Primark as i do at leeds so I'm so upset you revealed this now. Must plan a dash to the nearest one I can find! I need that jacket! It's so hard to find nice fake leather jackets i have one from h&m but it doesn't look half as nice as that! Love this outfit! I wish Primark was in the U.S! You look lovely here, especially your hair! I really like the dress! Lovely post and pics! LOVE THIS DRESS! how long ago did you buy it? 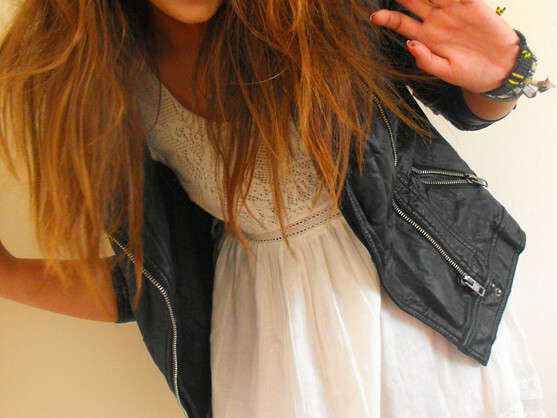 Love the jacket and the dress! They are really great together. Gosh, I love this outfit! I desperately need to get myself to Primark! You look great in everything you put on. I also love your hair it has that just got about of bed messy vibe I love.